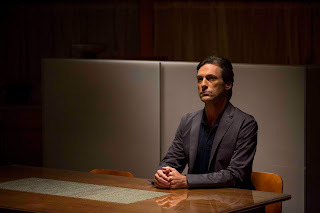 Home / ADAPTATION / MOVIE TRAILERS AND INFO / Thought-provoking Family Drama on Artificial Intelligence "Marjorie Prime"
Thought-provoking Family Drama on Artificial Intelligence "Marjorie Prime"
What if memories could be remembered for you – or forgotten for you? Memories are sometimes all we have to lean on. 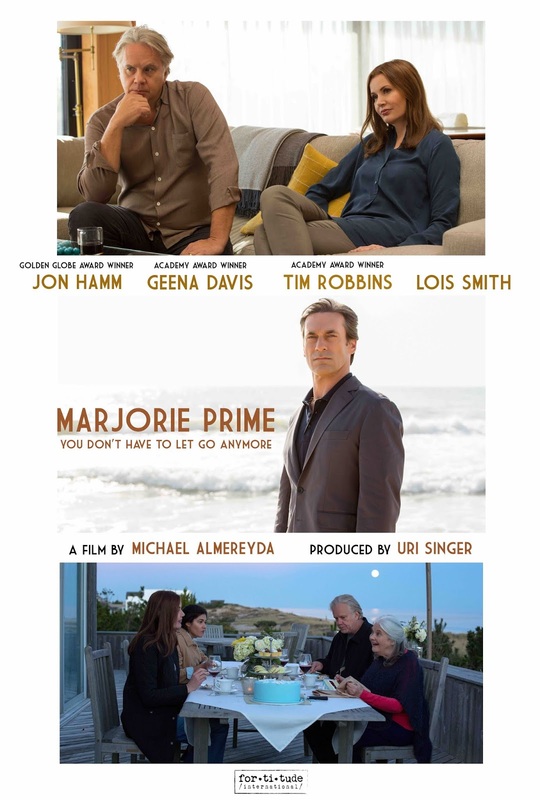 Sundance Film Festival winner (2017) “Marjorie Prime” takes us down memory lane taking place in a future intentionally left undefined where one’s fading memories are filled in by a program called Prime. Adapted from a play written by Jordan Harrison, “Marjorie Prime” reveals a future where one especially the elderly can have a ‘prime’ – a kind of replacement memory system programmed to accompany and help people keep their minds sharp. Designed to be therapeutic as one deals with grief, primes can soften the blow of losing someone by having a hologram version of the dead. 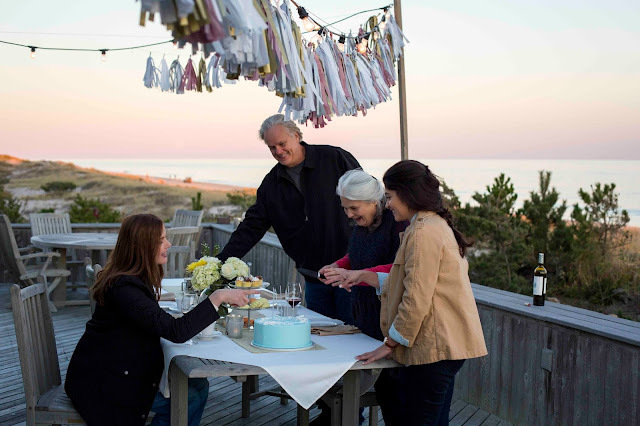 Marjorie (Lois Smith) lives with her daughter, Tess (Geena Davis), and Tess’s husband, Jon (Tim Robbins). It was Jon’s idea to provide his mother-in-law with Walter Prime (Jon Hamm), a younger version of Marjorie’s late husband to keep her company. But Walter Prime’s presence does not sit well with Tess, who is uncomfortable with this “fountain of youth version” of her dead father As the story progresses, Marjorie passes away, and Jon brings a Prime version of Marjorie into the household, hoping to heal or resolve Tess’s troubled relationship with her mother. Currently enjoying 89% rating freshness at Rotten Tomatoes, “Marjorie Prime” opens September 5 in cinemas from CrystalSky Multmedia.